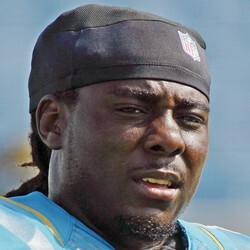 Former Jaguars RB Denard Robinson will be attending Bears rookie mini-camp on a veteran try-out basis. It will be interesting if the Bears extend an offer to Robinson following this try-out. The Bears currently have a deep stable of running backs which includes: Jordan Howard, Jeremy Langford, Ka'Deem Carey, Benny Cunningham, and Tarik Cohen. Robinson rushed for 144 yards on 41 attempts last year with the Jaguars but he is going to have to show that he can do a lot better than that to see any touches with the Bears this season.